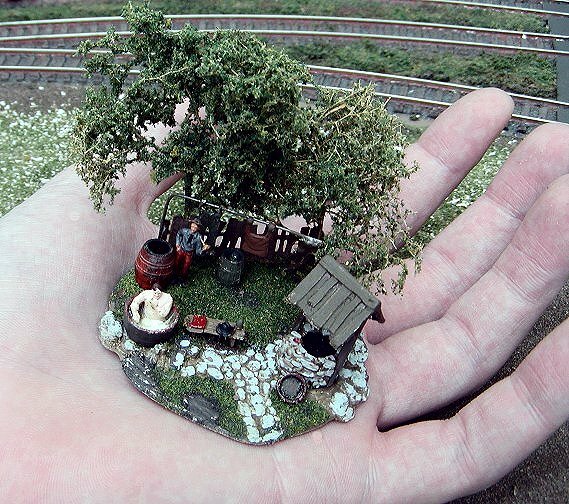 I love creating Mini scenes, there are many on my layout which were built at a table an inserted into the layout later. Here's just a couple of them. 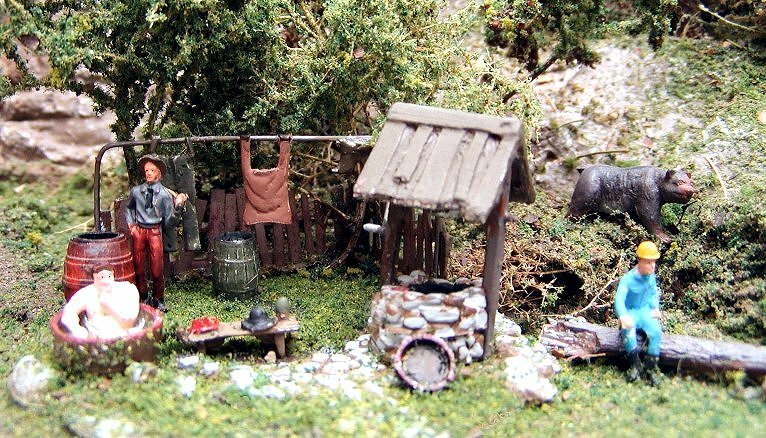 #1 is a woodlands scenics kit I made up whilst in H0 and later fitted it into my old Badger Creek layout. 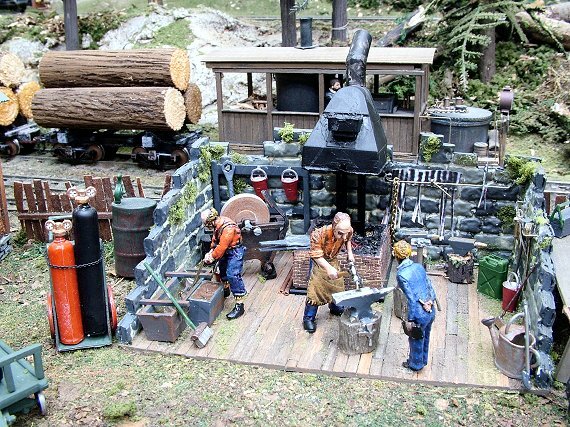 #2 is from my latest 0n30 Cooncreek layout, its an openair Blacksmiths shop which measures 5" across and is 3" deep. Everything apart from the anvil and buckets were scratchbuilt. Beautiful work, as usual. What did you use to make the blocks in the stone wall? Thanks friend, the stone wall started out life as strips of 1/4" x1/2" wood. I then used some stone plasticard and cut it to shape and glued it over the wood. Then painted and weathered it. The plasticard is made by "Slaters". Duplicate photo, thumbnail image for use in "featured discussions" promo. You never cease to amaze me with your craftsmanship. Keep up the good work and inspiration to all of us modelers.